Catharanthus Roseus is a self-seeding and evergreen flowering shrub from Madagascar and tropical areas of Asia. 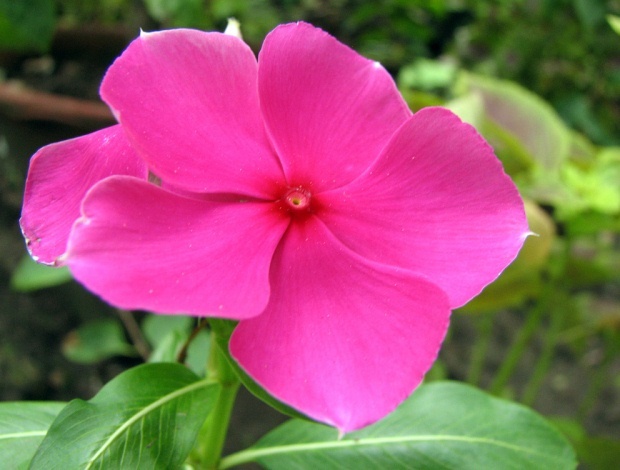 Commonly known as Vinca, Periwinkle, Rose Periwinkle and Sadaa Bahaar (in Pakistan), Catharanthus is easy to grow and flowers throughout the year. Catharanthus Roseus does not require much care to thrive. 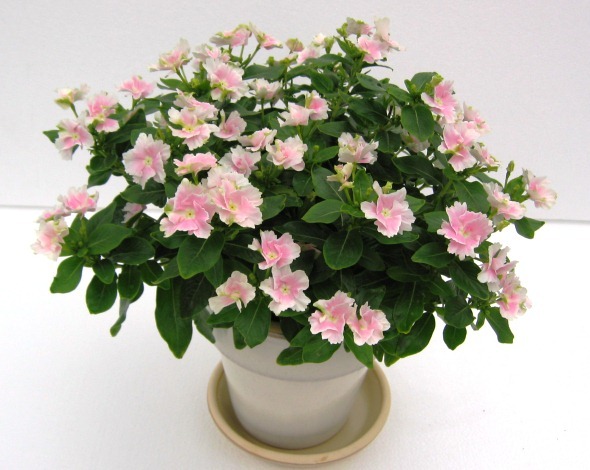 It can withstand frost and drought, and produces glossy green leaves. Flowers are white (with yellow or pink center), pink, purple and orange. Catharanthus Roseus is a good choice for xeriscaping and window gardens but could be invasive and hard to remove in its native climate. Catharanthus Roseus is grown commercially for its medicinal benefits for the treatment of diabetes, lymphoma and high blood pressure.